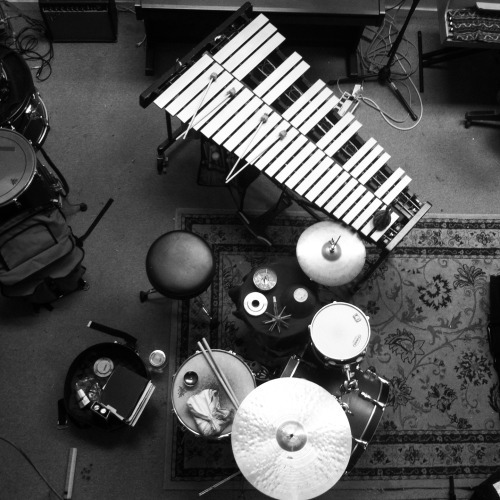 ANDREW MAGUIRE is a freelance drummer/percussionist in Oakland. Currently the drum sub for Hamilton in San Francisco (and previously in Los Angeles), he is an active member of the Bay Area theatre scene. He is a member of the Magik*Magik Orchestra, with whom he's joined Gregory Porter, Gregory Alan Isakov, ODC Dance with Zoe Keating, and Pop Up Magazine's live shows. He is also a house session musician at John Vanderslice's renowned Tiny Telephone Recording, collaborating on dozens of albums every year. He has played with people as diverse as Van Dyke Parks, the Kings of Convenience, and the Oregon Symphony and plays/tours regularly with Mirah, Vetiver, Meernaa, and more. He studied at the University of Miami Frost School of Music (BM) and the Henry Mancini Institute in LA.